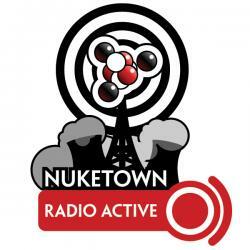 In this edition of Nuketown Radio Active, my toddler discovers the word that all podcasters hate, we spend a day at the Land of Make Believe, and I prepare to head to Balticon. In Netheads I check out the Digital Front of role-playing game PDFs, try out Firefox 3 Release Candidate 1 and experiment with a new notification gadget for Mac OS X. Had heard about it growing up, but never been there. Kid-centric amusement park in Hope, N.J.
Tilt-a-Whirls are evil. Santas’s Barn isn’t much better. Jordan loved the frogs, roller coaster, biplanes and (of course) the carosaul. Three parents, four kids is about the right mix. Took the kids canoeing on the Bushkill on Mother’s Day. Hilarity ensued. I’m headed to Balticon 42 this weekend in Baltimore, and will be rooming with Doug Rapsome at Geek Acres. Expect blogging from Balticon, maybe a podcast. Dice in Twiddla: Heard from one of the folks at Twiddla — turns out it can roll dice via the chat interface! Just type “D20” and it rolls the dice. Averaging about 120 subscribers to the FeedBurner feed, Radio Active #66 had 95-96 downloads. I’ll crunch the direct link numbers at the end of the month. A podcast about the online distribution of tabletop role-playing games. Behold the niche power of podcasting! Conversations with electronic publishers, like Fred Hicks of Evil Hat and Philip J. Reed of Ronin Arts. Fascinating listening for anyone interested in digital media distribution, gaming or otherwise. This market is a micocosm of what could happen in mainstream publishing over the next few years, and Daniel’s well versed in it (thanks to his own work with Highmoon Media Productions, a digital publisher. Notification system for Mac OS 10.4 and 10.5. Growl-aware apps can send messages to it notifying you when iTunes is switch tracks, someone’s come online in Skype, or when you receive a new message in twitter. Can be WAY too much information, particularly when Twitter is running but is useful for certain long running tasks. Started using Firefox 3 extensively at work and at home. So far I’m likin the more modern interface, but find the “Get information” button next to the url to be annoying; I keep clicking it by accident, which summons a pop up that seems to tell me nothing because the vendor hasn’t provided identity information; if I click to get more information I can see some useful stuff, like whether the site is using cookies or Firefox is saving passwords. Good stuff, but the interface needs some tweaking. RSS and Bookmarking icons are much more prominent. Tagging for bookmarks is nifty, but honestly I moved to using del.ico.us for my bookmarks long ago.